"IT Recognition strives to create a fulfilling and rewarding work environment that aligns with: Communication, Growth, Satisfaction, Engagement and Innovation." The mission of IT Recognition is to help encourage the University to recognize both individual employees and team achievements that show consistency, outstanding achievement and remarkable results in a simple, fair and diligent manner. In order to submit a recognition nomination; familiarize yourself with the awards. Once you have decided which award you would like to recognize an employee or team for, proceed to the IT Recognition Form and complete the relevant fields. 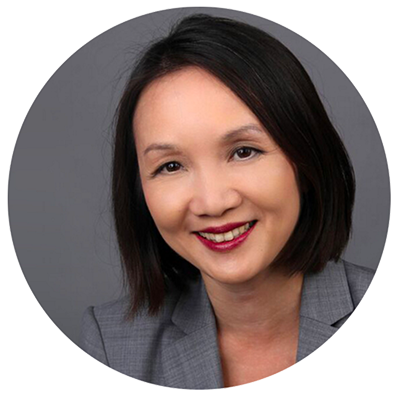 Dr. Melissa Woo became Vice President for Information Technology and Chief Information Officer (CIO) at Stony Brook University on April 4, 2016. She was appointed to Senior Vice President for Information Technology and CIO on May 1, 2017. Effective, October 1, 2018 Melissa has assumed an expanded role, as the Senior Vice President for Information Technology and Enterprise Chief Information Officer. In this position, she reports directly to President Samuel L. Stanley and is a member of his senior leadership team. She works with senior academic and administrative leaders across the institution and oversees the Stony Brook Division of Information Technology (DoIT) and the provision of IT services to faculty, staff and students. She collaborates with the Chief Information Officer of Stony Brook University Hospital in the ongoing development of information systems between the main academic campus and the Stony Brook Medicine campus. Dr. Woo came to Stony Brook from the University of Oregon where she served as the Vice Provost for Information Services and Chief Information Officer since 2012. Prior to her appointment at UO, she was at the University of Wisconsin-Milwaukee, where she served as Director of Research Cyberinfrastructure and was later appointed an IT Director in University Information Technology Services. Her career in higher education includes appointments at the University of Illinois at Urbana-Champaign where she began her career in information services, and earned her Ph.D. in Biophysics. Prior to that she received her B.A. in Biophysics at UC Berkeley. A graduate of the EDUCAUSE Institute Management and Leadership Programs, and a Frye Leadership Institute Fellow, Dr. Woo received the EDUCAUSE 2012 Rising Star Award, and from 2012 through 2015 served as a senior reviewer of EDUCAUSE Review Online. She earned a Foundation Certificate in IT Service Management, and her involvement in the IT community includes co-chairing the Higher Education Information Security Council (2014-15); serving on the advisory board of the Center for Higher Education Chief Information Officer Studies, Inc. (2013-2016); and serving as a founding member of the Trust and Identity in Education and Research Community Investment Council. 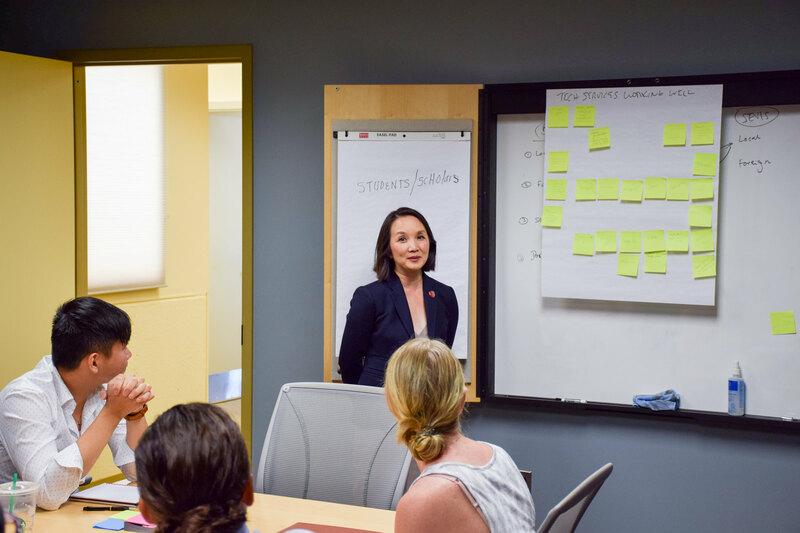 Dr. Melissa Woo has scheduled a series of "Listening Tour Stops" during Summer/Fall 2016 to meet with different administrative and academic areas to learn more about the needs of University stakeholders. The objective of her listening tour is to meet with as many teams as possible to find out what their main strategic goals, initiatives, and priorities are (independent of technology) which will be extremely beneficial to help align campus IT services with the strategic goals of the University and the customers we service. CIO Melissa Woo visited the Global Affairs team on a July 21 2016 listening tour stop. 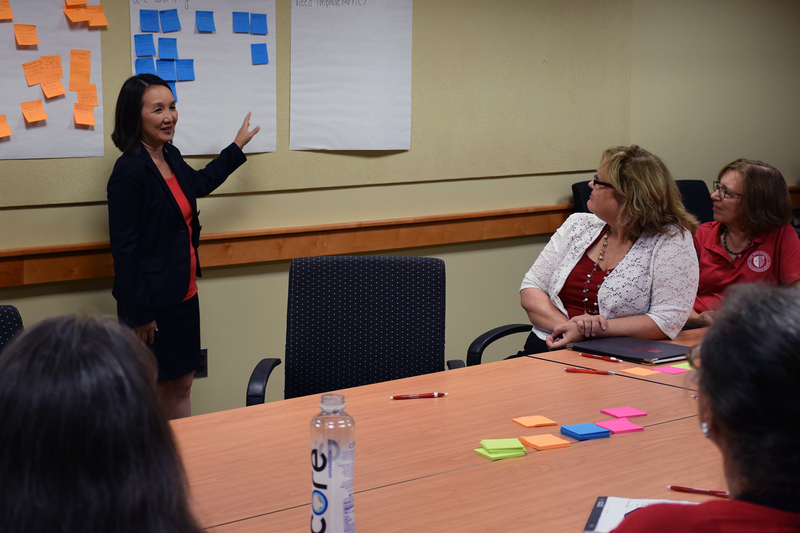 CIO Melissa Woo visited the Human Resources group on a September 21 2016 listening tour stop. The DoIT Senior Leadership Team is committed to providing the University with a world-class teaching and learning with technology environment. The Division of Information Technology (DoIT) supports the academic, research, healthcare, and administrative missions of Stony Brook University. Get a quick glance of DoIT's organizational reporting structure. The IT Partners community is designed to not only gather IT teams from across the institution. During the spring semester of 2014, the senior leadership team in the Division of Information Technology (DoIT) collected input from other members of DoIT to create five core values for the organization to follow as a guiding framework when making decisions and taking action. We are committed to engagement, communication, and sharing information with a human voice. We will actively hire great people, develop their growth, encourage a healthy work/life balance, promote a diversity of voices, and support our staff. We will work to delight our customers in the innovative delivery of our solutions and services. We will work collaboratively across Stony Brook University to provide a responsive environment that enriches and enhances teaching, learning, service, and research. We will encourage innovation, even where concrete business benefit is not initially apparent. DoIT has established strategic priorities to align with the University's strategic vision and primary goals. These priorities are built upon a series of foundational principles which will help guide the implementation of tactical solutions based on our strategic priorities. Investment/Strategy Alignment: Invest resources in the projects, initiatives, and services with the most strategic value. Listening to individual perceptions (how people "feel") about their experiences interacting with DoIT support or services. We want to demonstrate we care about availability, reliability, accessibility, performance, and satisfaction when it comes to our support and services. This priority also includes communications, feedback, outreach, consultation, and education. Implement and strengthen service management competencies in an effort to deliver the right high-quality services that exceed expectations. Provide campus constituents with expertise and services that meet and exceed their instructional, research and administrative expectations. Promote these services efficiently and effectively utilizing responsive design to user needs. Institute an ongoing process for assessing our services internally and externally to provide meaningful data to drive decision making, including direct and indirect evidence. Continue to improve internal and external communications through multiple modalities with a focus on relevance and clarity. Develop DoIT’s communications strategy, experiment and explore new social mediums for user engagement, feedback, and training. Highlight the efforts, people, collaborations and use of technology by Stony Brook faculty, students, researchers. Convey more insight and implications (not just facts) of what is driving innovation, discovery and change at Stony Brook. Align faculty, staff, researcher and student engagement efforts with institutional priorities, maximize ROI through improvements in the teaching, learning, research and administrative environment, with special emphasis on the University's student success initiatives. Develop a dynamic, transparent campus technology plan that provides a road map, benchmarks, success metrics, data and analytics. Support data driven decision making, provide and support an analytic infrastructure. Focus on developing and deepening Stony Brook's analytics capabilities encompassing data capture through delivery in an effort to improve operational effectiveness, teaching, learning, advising, and research analytics. Develop performance measurement and network testing systems that are regularly used to characterize the network and are available for troubleshooting. Improve our infrastructure to be more: 1) reliable, 2) agile and elastic 3) cloud-oriented and cloud-aware. Invest and implement in technologies that support key campus research and scholarly activities, and support multi-institutional collaborations and partnerships. Risk Management, Compliance, Policy, Incident Response Capability. Improve our ability to: 1) identify threats to our data and privacy, 2) protect institutional data and privacy, 3) detect attacks and intrusions, 4) respond to identified risks and detected attacks, 5) recover from security incidents. Build a portfolio of technologies that provides the capability to identify, classify and secure sensitive data. Build a framework for managing risk. Put Stony Brook in a position to accept and receive any research opportunities that it chooses to pursue. Richard W. Reeder was a trusted colleague, mentor and friend to many at Stony Brook University during his tenure that spanned more than 40 years. He was also a loving and caring husband, father and grandfather. Rich was a visionary who championed technology, saving Stony Brook University millions of dollars and taking it to the next level. Rich passed away much too soon and in celebration of his life and legacy, the Richard W. Reeder Endowed Scholarship was created by his family and friends. A 250-500 word essay outlining how you exemplify performance, promise, excellence, citizenship and integrity. A faculty member’s contact information including their email address. Please note you should contact the faculty member, prior to submitting your application to confirm they are willing to support you. The faculty member will be required to provide a letter of support on your behalf. The 2016 Application is not yet available. Only completed applications will be considered.